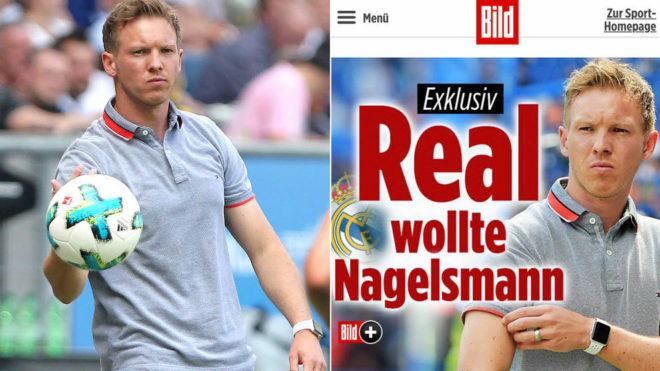 Whilst Mauricio Pochettino remains the favourite to take the vacant coaching position at Real Madrid, reports in Germany have suggested that Julian Nagelsmann has rejected the opportunity to replace Zinedine Zidane. Nagelsmann’s stock has risen exceptionally of late with his first two full seasons at Hoffenheim seeing him secure Champions League qualification. BILD have reported that the 30-year-old coach has received an approach from the European champions that he’s turned down. Due to Hoffenheim’s guaranteed participation in the group stage of the 2018/19 Champions League, it’s understood that the German coach’s commitment to the club remains total. As part of the contract signed with the club that ties him until 2022, there is a release clause which comes into force ahead of the 2019/20 season. In supposedly rejecting Los Blancos, he’s shown himself to be a man of his word with regards to his contract.